The Seattle market continues its flirtation with optimism this month, pulling in the #1 ranking for America’s top tech city and ranking #2 for the nation’s wage growth. On the home front, with a welcome sign on the door, King County saw double-digit rise in home prices. On top of that, the rental market is heating up, fueled by in-migration of tech workers willing to pay more. In yet another feel-good moment, Seattle, which is one of the nation’s Top-10 vegetarian cities, was rated as the #1 vegetarian-friendly city. 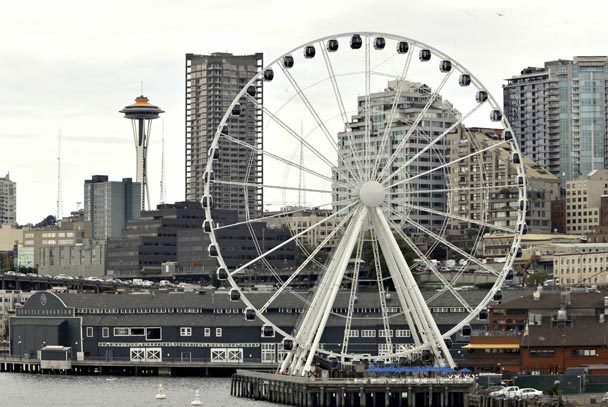 And speaking of feeling good, how about that new waterfront Great Wheel? After outsourcing work, moving some production to North Carolina and selling off a significant portion of its Renton land, Boeing now is scrambling to find space to keep the 737 assembly flow at the rapid pace it needs to stay competitive with Airbus, which has stepped up its own production and set up shop in Alabama. A streamlined operation is in the works and the good news out of all this is that Boeing is expecting to hire hundreds of production workers and hundreds more engineers! In other aerospace news, Snohomish County will see expansions of the Umbra, Aerojet and Asco firms in coming months that will add at least a couple hundred jobs. While consumer confidence fell to the lowest levels of 2012 this past week nationally – most Americans believe that both the economy and their own personal finances are getting worse, and the state’s retail sector seems to bear that out, having lost 11,300 state retail jobs in the past 5 years — the retail sector apparently has not lost confidence in Seattle. Just this past week the new format Downtown Target store opened. This follows the recent opening of the Nordstrom Rack in Westlake Center and a recent announcement that another would open in Northgate Mall this coming November. H&M, the Swedish “fast fashion” chain, has plans to open a new store at Alderwood Mall and Bellevue welcomed it first Walmart and Walgreens is continue its expansion in the market, announcing a new store in Bellevue and recently scoping out properties in Edmonds. Growth in the Issaquah Highlands warrants yet another shopping complex with cinema. If all the new shopping options have you in a spin, you can peace out at the new Starbucks Tea shop, opening this fall in the current Lululemon site, which is moving to a bigger space. South Lake Union is adding yet another apartment complex – 7 stories housing 223 apartments on the old Cascade Natural Gas site. On top of that, a new zoning plan could bring in 12,000 new units of affordable housing, that includes much needed infrastructure improvements. In fact, while not included in this edition of SMR, more than 7,000 units are under construction this summer. Accounting for about one-fifth of them is a midsize firm called the Runberg Architecture Group. Runberg buildings are going up in South Lake Union, Capitol Hill, Lower Queen Anne, Columbia City and West Seattle. More projects are in the planning and are expected to find a home in the Roosevelt, Denny Triangle, University District and Ballard neighborhoods. In yet another feel-good moment, the neglected 108 year-old Eitel Building on Second near the Pike Place Market is going to be converted into a boutique hotel. The new owner, Ariel Development of Seattle, is the same company that did the impressive conversion of the Alaska Building into a Courtyard by Marriott. Another apartment tower will soon dot the downtown skyline near the Paramount at 9th and Pine. Down south, the Auburn SuperMall is in the midst of a $30M transformation to an outlet mall called Outlet Collection Seattle. So now we have two outlet malls, the other being Seattle Premium Outlet, nowhere near Seattle taking the Seattle name. The city should consider it a compliment, however confusing. Looking to save a few bucks on the road? Greyhound’s new Boltbus, a low-cost, nonstop bus service between Seattle, Portland and Vancouver, B.C. is offering fares that beat both car and train travel. Kenmore Air is having a contest to pick a San Juan Island for them to offer a $69 each-way fare, starting in August. In other travel news, All Nippon Airways of Japan is planning daily flights from SeaTac to Tokyo beginning in October. ANA is Boeing’s 787 Dreamliner launch partner. In a good news/bad news scenario, depending on your city allegiances, cargo volumes continue to climb for both the Port of Seattle and Port of Tacoma. 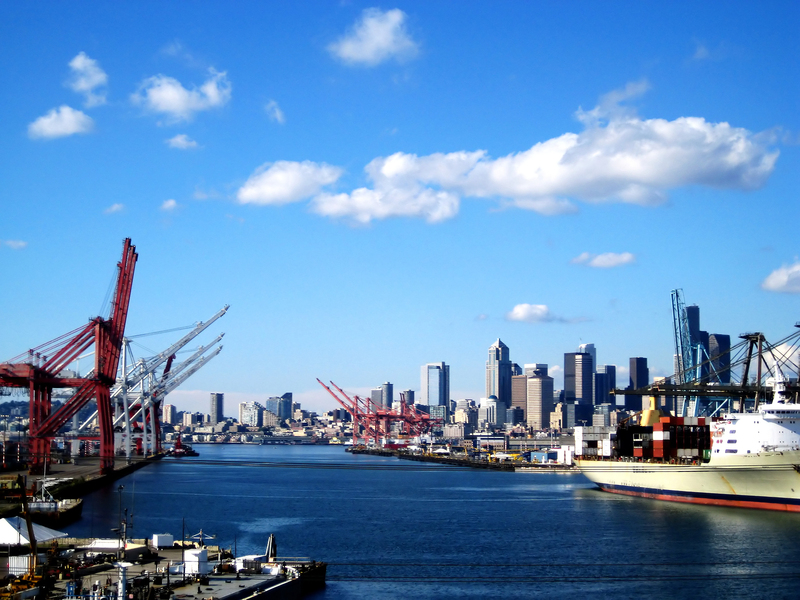 Seattle’s climb, however, will be tempered by its upcoming loss of Hamburg Süd Shipping line to the Tacoma port. And finally, so you don’t get too excited by all the good news, Seattle’s inflation rate is more than 60% higher than the nation’s, thanks to gasoline pricing gone wild and the increasing costs of housing. Read all these stories and more in the July 2012 Seattle Market Review. Or better yet, sign up for a free subscription by emailing SMR’s master curator, Steve Fuller at sfuller@seattletimes.com.